Once again I was browsing through the SpaceNK website (cheeky me!) and I put together a few bits that I really want to try. 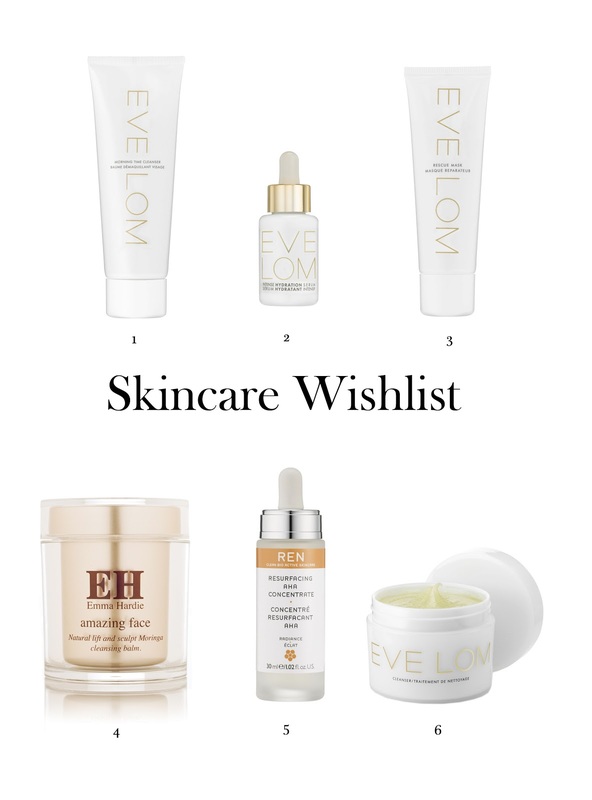 You might notice that they are quite pricey, but since I no longer have teenage skin, I have been using more high end products and I can see a massive difference! I love REN I have a few of their products, I love their masks and cleansers ( I might pop in a review soon! ), I have heard so many good things about the Resurfacing Concentrate so I really want to try it. The Emma Hardie Balm has been so talked about that I really want to see for myself if its really worth the hype! 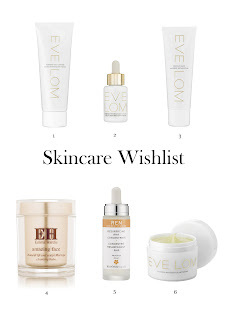 And then we have Eve Lom another brand that I have been hearing a lot about. So have you tried any of these products? If so are they worth the hype and price tag? Let me know in the comments. Disclaimer- The images were taken from the SpaceNK website and google.